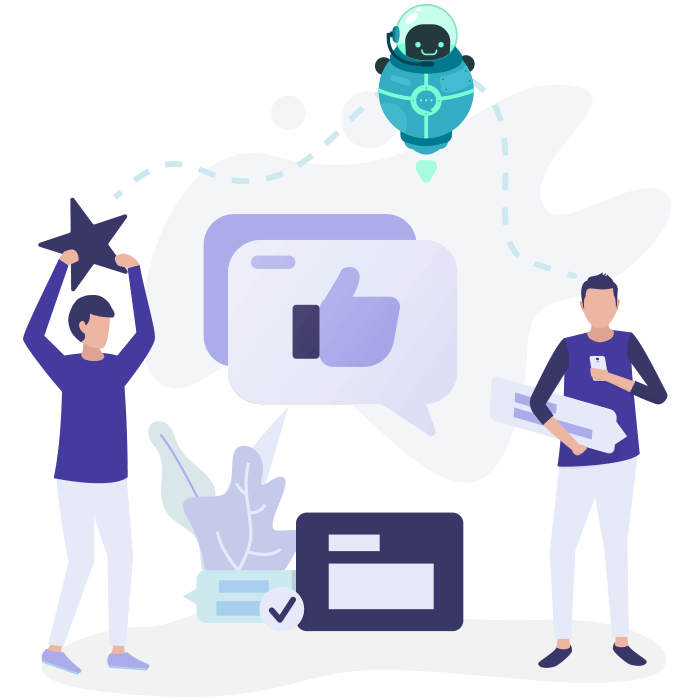 Improve through Surveys & Feedback Chatbots Now! From boring and slow, turn your customers surveys and feedback to fast and engaging. The engaged new age customers prefer fast and efficient way of communication i.e Chatbots. Feedback can be obtained from anywhere, anytime - Web, App, Facebook Messenger, Twitter and any channel of customer's choice. Quicker business decisions to adapt to changing business realities. Direct feedback from business entities allow you to grow your business more quickly. Quickly understand about your customer directly through them. Through the power of engaging chatbots get more completion rates. Your feedback and surveys reach your customers via various web, app and social media channels. Real time dashboards and reporting tools deliver insights more quickly than ever before. Learn, adjust, adapt more quickly and gain in the most effecient and speedier way.